SMOK - "Success Starts Where It Ends ：With the Customers". Smok is a leading brand of electronic cigarettes which specialises in the manufacture and research of vape products. As a result of Smok's ability to innovate with new developments and patented products, the company is known as a sector leader in variable wattage and temperature controlled vape mods and e cigarette devices. Not only is the Smok Alien one of the best selling Vape mods world-wide it also features as probably the best vape mod in most independent Smok Alien Reviews. 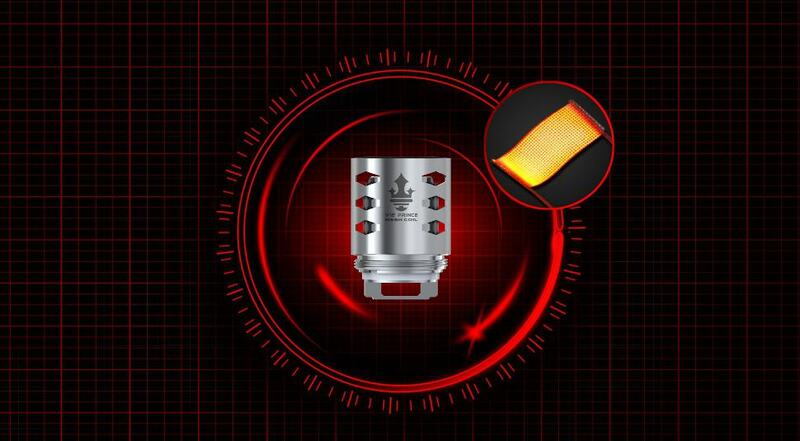 Coupled with the Smok TFV8 coils and new UK TFV12 range of advanced coils Smok is making waves! SmokTech was founded in 2010 and is based in Nanshan district Shenzen City, a major worldwide hub of the electronic cigarette supply chain. The introduction of the Smok Alien firmly puts Smok on the map as a major player in high spec. power-vape devices. The Smok Alien is the UK's leading high-spec vape mod. The new revolutionary Kanthal thin film "strip coil" heating membrane from Smok allows for a greater surface area. This has two significant vaping advantages. First the heat up time for e liquid is significantly reduced because of a more even heating profile and secondly the structure allows for rapid absorption of e juice. Combining these two advantages means strip coil easily loads higher power than traditional coil heating wires which translates to an unparalleled vaping experience. The P&P took a little longer than I hope as they only came from a few miles from me. P&P was not cheap so would of like them to have come a bit quicker, hopefully the next time I order from this Company they will arrived earlier than last time!